Hey, I’m Natalie! 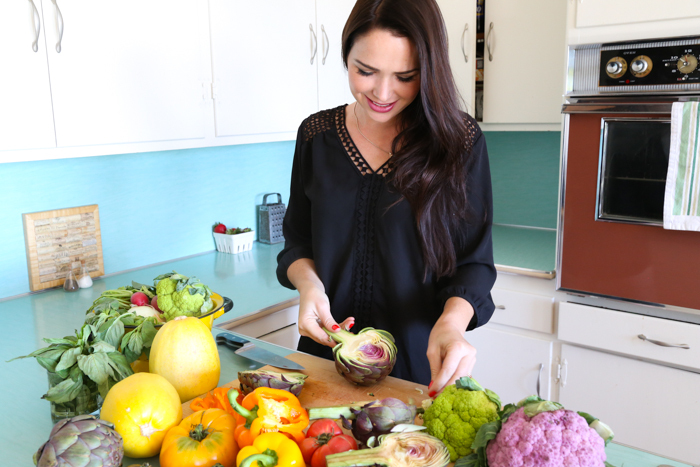 I’m a serious food-lover, safe skin care advocate, brand new mama, and blogger on the side! In my day-to-day world, I’m an elementary teacher turned child counselor turned independent study and homeschool educator who loves traveling, gardening, eating, happy hours with friends, sunshine, and the feeling of sand between my toes. In blog world, I’m a super food-nerd who loves creating recipes using seasonal real foods. Cooking is my therapeutic outlet- it’s my kind of art. I am a terrible singer, should never dance though sometimes I do anyways, and can barely draw stick figures… but I love the challenge of trying to put a recipe I envision onto a plate. Food is how I share my love. I’ve been inspired by cooking ever since I can remember. My mom is from Greece and I’m pretty sure to blame for my food obsession. If you know a Greek than you know exactly what I mean. 😉 My dad was a health and adventure nut who loved rugged travel- we spent much of my childhood frolicking around Sayulita, Nayarit. Needless to say, my cooking influences stem from all sides of the world. Growing up, my mom made all of our meals from scratch- each eve a different cuisine. One night it’d be Indian, then Thai, Greek, and so on. Despite her many cookbooks, I never saw her use one- she crafted as she went, creating one awesome spread at a time. Watching her- as well as my yiayia and grandma- is how I learned to cook. Welcome to Honey, Ghee, & Me… one of my favorite passion projects that I’ve happily been plugging away at since 2012. I hope you find a few things here you enjoy! You’ll find all types of recipes here. Eating is such a personal journey…. I eat what my body likes. I cook from scratch and love to experiment. I personally aim to minimize my intake of inflammatory foods- aligning closest to Paleo if I had to choose- but I’m not a strict person by nature. I’m a libra, I like balance. 😉 I enjoy celebratory bevies and devour snacks like a wolf- but value real food and wellness as a whole, which guides how I cook every day. Welcome to Honey, Ghee, & Me… I hope you find a few things to try out and enjoy!